To thrive in today’s economy, finding and retaining the best employees is important. Your business relies on a competent, experienced team that can work effectively and efficiently. According to survey results published by the Society for Human Resource Management, retaining newly hired employee is a problem for 90 percent of employers. Frequent turnover has a negative impact on employee morale, productivity and company revenue, not to mention the actual cost of replacing and training new hires. You have the ability to keep new employees rather than lose them. Let’s look at why recent hires leave. Why do recent hires leave within six months? What do these reasons have in common? Communication! Here’s four ways you help protect your business against losing new employees for these common reasons. The most important step you can take to reduce new hire turnover is to communicate realistic job expectations. This means having an accurate and updated job description, but also communicating the challenges, perks and daily stresses the position faces. Consider shadowing current employees or asking them to write a “Day in the Life” journal for a week to get a more realistic view of their job. Review hiring processes for areas where reality is sugar-coated or totally ignored. You may need to change the job description or hiring text as well. As detailed in our article, Improve Culture for Better Employees, every business has its own culture. Company culture guides our behavior and communicates expectations, mission, vision and values to employees. Understanding how your culture impacts your employees is easy – just ask your team! This is where an anonymous online survey or one-on-one conversations can be very enlightening. Once you have a clear understanding of the state of your company culture, you can make small changes to move it in a positive direction and communicate it to potential hires. It’s not enough that you know your employees have the potential to advance in their career. To retain new hires, the employees have to see that they have a path for advancement. The best candidates, especially millennials and women, highly value the ability to grow while comparing jobs. This means that the potential to grow must be communicated immediately, perhaps in the hiring ad or the job description. 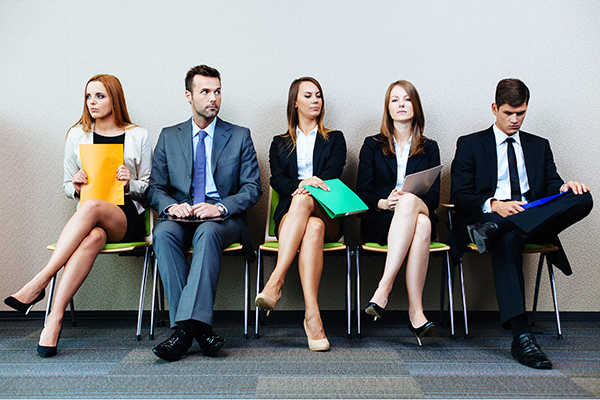 What are the top three growth opportunities for the right candidate? What will they learn? Who will they meet? What new skills will they learn? According to the survey, 15 percent of new hires left within six months because they didn’t like their boss. I believe that communicating realistic job expectations and a culture check would reduce a great deal of turnover related to personality conflicts. If you have an especially intense manager, communicate that during the hiring process. If the boss can’t stand tardiness, include reliability and professionalism as pillars of your company culture. However, management and leadership coaching is a wonderful way to improve any manager or boss. Few managers have received formal leadership training and the daily demands of the business distract from productive employee interactions. Common reasons that employees dislike their bosses are poor communication, dishonesty, criticism, lack of recognition and procrastination. Managers who struggle with employee retention and communication can start to see immediate improvement with one-on-one coaching and goal setting. Contact Scott Human Resources for more information about customized leadership coaching at 785-272-5410. Now that you know and understand four ways you can reduce new hire turnover, start investigating how these factors impact your business today. Improving communication with current and potential employees will help improve company morale and productivity. Meet with a human resources expert to identify and resolve challenges that cause your new hires to leave. 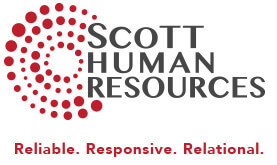 Scott Human Resources can provide a professional and unbiased review of company processes and create an action plan to reduce turnover and improve employee satisfaction. Email us at Office@ScottHR.com or call 785-272-5410 to schedule your free initial meeting with one of Scott Human Resources’ senior consultants today.